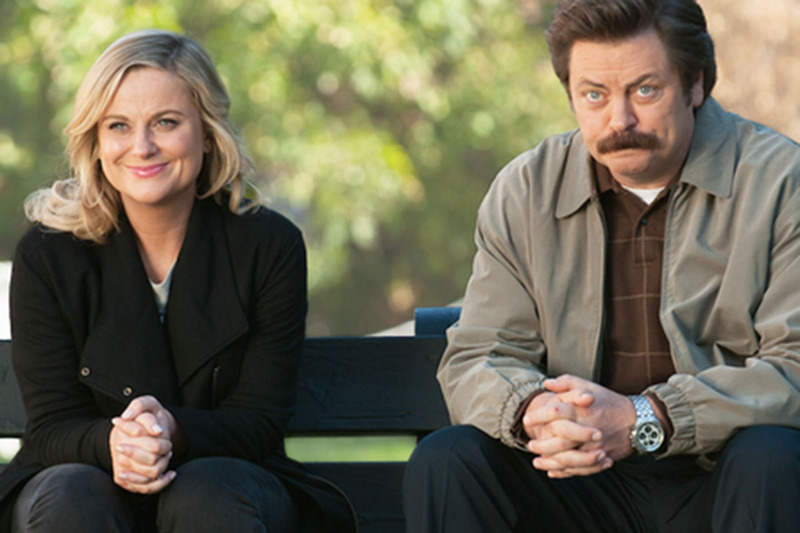 Calling All Crafters: Amy Poehler and Nick Offerman’s New Show Needs You! I’m attempting to quell my excitement about this news, but I’ll continue to squeal on the inside. Amy Poehler and Nick Offerman are teaming up for a new television series. On Tuesday, NBC ordered “The Handmade Project,” an unscripted competition series co-hosted by Poehler and Offerman. Each episode will feature contestants who make handmade, DIY projects based on different themes. Expert judges, including Poehler and Offerman, will then name a champ. Are Poehler and Offerman qualified to judge crafters, you ask? Poehler claims to be a crafting novice, so she appreciates anything made by hand. Offerman is the best-selling author of a book on woodworking (yup, a real-life Ron Swanson) and owns Offerman Woodshop in LA. The casting call doesn’t specify what champions win, but you’ll definitely get free marketing on national television, which is a valuable tool if you own any type of business — including an Etsy shop. The application is open to anyone. Even minors can apply, provided they do so through a parent or guardian. Fill out the application online. Carson Kohler (@CarsonKohler) is a junior writer at The Penny Hoarder. Landing a spot on the show to meet Amy Poehler and Nick Offerman would be worth it for her.